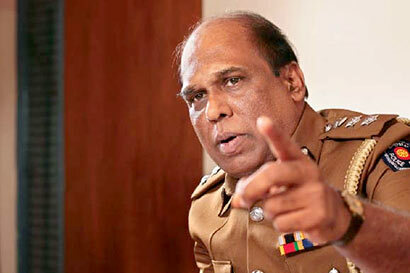 Senior DIG in charge of Western Province Anura Senanayake has been transferred to serve as the Senior DIG of Police Headquarters while Northern Province Senior DIG Pujitha Jayasundara has been appointed as Western Province Senior DIG. Sabaragamuwa Province Senior DIG Lalith Jayasinghe has been transferred to the post of Northern Province Senior DIG while Sothern Province Senior DIG C.D. Wickramaratna has been appointed as the Sabaragamuwa Province Senior DIG. Eastern Province Senior DIG Nandana Munasinghe has been transferred to serve as the Acting Senior DIG in charge of Uva Province. Meanwhile the Deputy Inspector General of Police (DIG) in charge of Jaffna District Ravi Waidyalankara has been transferred to Police Headquarters for special duty. The transfers were made on exigencies of the service with approval from the Secretary to the Ministry of Public Order, Disaster Management & Christian Affairs.